Singer Jay Aston, one of the original four members of the winning UK 1981 Eurovision group, Bucks Fizz, has spoken to the British press about her battle with mouth cancer. Jay, 57, is to have surgery to remove some cancer found in her mouth and there is a risk that she may never be able to sing again. Jay has also been informed that if more cancer is detected she will need even more of her tongue removed, leading a possibility of her losing all of her speech. I think if they take more of my tongue away the chances of me singing, even talking will be very slim. The thought of rejoining the band is now keeping me going. Being on stage with them is my happy place. Whatever you go through, it doesn’t matter when you are on stage. There is hope that Jay’s cancer has been detected early enough for it to be wholly removed. ESCBubble wishes Jay all the best with her operation and wishes her a full recovery. 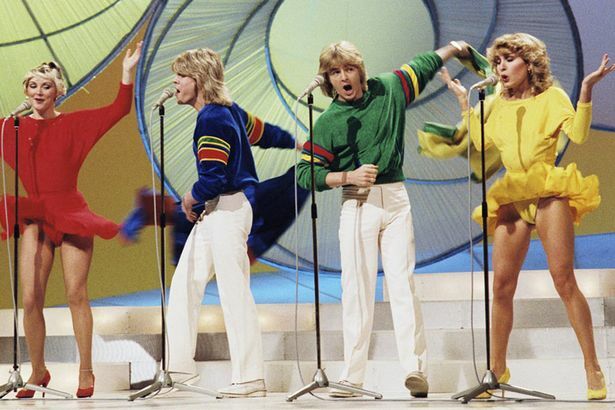 Jay was one of the four original members of Bucks Fizz, who won the Eurovision Song Contest in 1981 with ‘Making Your Mind Up’ for the United Kingdom. Performing 14th on the night, they won the contest by a very narrow 4 point from runners up Germany. The song is well known for a memorable dance routine where Jay Aston and Cheryl Baker had their skirt removed to reveal even shorter skirts underneath. It went on to be a number 1 hit in the UK and across Europe. She left the group in 1985 after a string of huge hits both in the UK and around the world. Just before leaving the band she was involved in a tour bus crash that left her with serious back injuries. The band got back together in 2004 with three of the original band members and were involved in a long legal dispute over the bands name. They now perform under the name The Fizz and are still touring and releasing new music. Let us know your thought on this shock news and your best wishes for Jay on our social media channels. Hope all goes well for you Jay.